There are few things as relaxing as soaking in a hot tub. A backyard spa can help you turn your yard into a private oasis. If you’re thinking about buying a jacuzzi, this guide will help you by introducing you to some of the best spas and offering you some tips for making this purchase. If you want a great spa but can’t afford much, an inflatable hot tub is a good option. The word inflatable can be off-putting but you might be surprised by how nice an inflatable spa can be. This SaluSpa inflatable hot tub inflates quickly and can fit 2-4 people. It heats up to a maximum temperature of 104°F and includes bubble jets. If you want a decent hot tub for a low price, this sturdy inflatable jacuzzi is a great choice. This is our choice for best jacuzzi because it offers several high-end features without breaking the bank. It’s an ideal size for a backyard hot tub, comfortably fitting four without feeling cramped. It maintains its maximum temperature of 104°F quite well. The waterfall, LED lights, and a variety of jets make this a really excellent spa experience. This is one of the best spas on the market because it offers high-end value at a mid-range price point. If you’re looking for the best jacuzzi at any price, this one is worth looking at. It offers every high-end hot tub feature you could want and more. It will comfortably fit six people and it offers an incredibly relaxing experience thanks to the 71 jets. This includes back, shoulder, calf, and foot jets. Although there are no reviews yet on Amazon, buyers have shared their overwhelmingly positive opinions about this luxurious spa elsewhere on the web. Several buyers report that this hot tub is even better than advertised, with particular praise for the jets. A few people complained of some leaking but it appears that this has been an experience for only a small minority. Although a bit pricey, this luxury hot tub will not disappoint. This is a comfortable jacuzzi that is great for up to 3 people. It has a variety of therapeutic jets that are designed to touch the majority of body areas, inducing relaxation. This jacuzzi is the balanced combination between quality and price, being able to offer most of the features that high-end products have without being the most expensive. It’s perfect for clients that don’t need more than 3 people to use it. Most of the clients are happy with this tub, saying that there is a very good value for the price paid. The only issue is that you have to remove a side panel to access the power cord. Other than that, it keeps the temperature up well and it’s very comfortable. 85% percent of the customers rated it with 4 and 5 stars, and the complains are mainly towards the customer service and not the product itself. Hard to access power cord. A tried and tested corner hot tub. 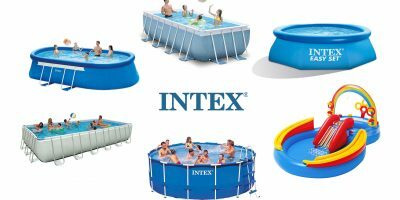 Intex offers a portable inflatable spa that has a bit more room. 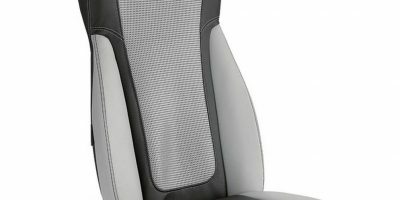 It also has 170 high-powered bubble jets and head rests for added comfort. Comfort Line offers the convenient portability of an inflatable spa with a solid design. Comfort Line Products are a renowned brand in the home improvement space and the Spa-N-A-Box is one of their signature products. It features an exciting 1.3HP TurboWave massage system that makes for a relaxing and invigorating spa experience. It is also extremely easy to set up, taking only 20 minutes and requiring absolutely no tools! Plugging into any standard 110V grounded outlet, the installation process should prove very comfortable and efficient. Boasting a 1000W thermostatically controlled heater, you can expect a consistently comfortable temperature that makes for an enjoyable experience. 24-hour filtration also means that your water will be sparkling clean at all times, making it ideal for guests. The Spa-N-A-Box has received a generally positive reception from its buyers, with 42 of the 97 ratings coming in at 5 stars. Many customer reviews have praised it for being easy to set up, having a filter that is easily changed, and having a minimal effect on the energy bill. On the negative side, some buyers did express concerns about having to regularly replace the pump. The Spa-N-A-Box is an easy-to-use hot tub at an affordable price. If you can look past the potential pump issues, it represents great value. If you are looking to enjoy the relaxation and wellness of a spa right in your backyard, this is a good option. The AquaRest Spas AR-300 is a portable hot tub made with a Rotomolded shell. It has a built-in Ozonator that keeps the water hot and free from chemicals. Fit for two, this spa has 14 Stainless steel multiway hydrotherapy jets and heats up to a temperature of 104°F. For maximum relaxation, this plug and play hot tub has a waterfall feature, two cup holders to hydrate, and multi-colored backlights to enhance the mood. While there were only a handful of reviews on Amazon, most of them praised the AquaRest Spas AR-300 for its portability, simple setup and maintenance. It gets extra points from a bulk of its reviewers for having a 120V plug. A major complaint was its rotomolded surface; some reviewers felt it was mildly rough, which makes it uncomfortable. A reviewer felt adding a longer chord would help enhance its portability. A decent featured, two-person, portable, plug and play hot tub fit for your backyard. Buying a hot tub is a big investment and it’s not a decision you should make lightly. There are a number of things to consider when choosing the right jacuzzi for you. Before buying a hot tub, you need to know the ultimate location. It’s important that the location is both relatively flat and sturdy. If you want to place your hot tub on a deck, it’s important that the deck is well-supported. If you’re going to place the hot tub right on the ground, it’s important to find a level area where the earth is well packed. It’s also important that an electrical outlet is within reach. You should also keep in mind how the hot tub will fit into your overall design layout. Will a hot tub look out of place? Can you rearrange your patio to make the jacuzzi fit right in? Ideally, your hot tub will be an inviting and natural part of your overall yard or patio layout. You might want to consider a hot tub’s “look” as well. Choosing a spa that will fit in with the general look of your other patio furniture might be nice. Check out this hot tub patio design photo gallery from DIY Network for some inspiration. Think about who will be using the hot tub. 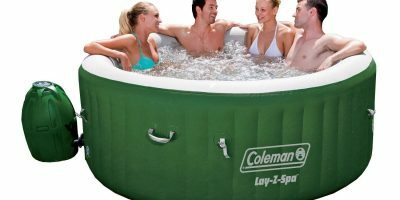 If you anticipate only using the hot tub by yourself or maybe with one other person, you don’t need to worry too much about getting a large capacity tub. If you anticipate a group of four or more people using the spa frequently, you’ll need to look for a hot tub with a larger capacity. You should also consider the size of the people who will be using the hot tub. A smaller hot tub that says it fits four might be uncomfortable for just two people who are both taller or larger. When you buy a hot tub, you’re also committing to regular maintenance to keep it in ideal working order. Buying a hot tub is an investment but it’s one that will only pay off if you take care of it. 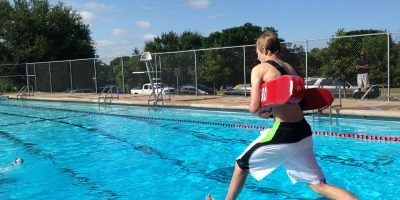 By making sure the water is healthy, you are making sure that it’s a safe environment to relax in. Most hot tubs use a combination of heat and jets to create that unmatched feeling of relaxation. For those who use hot tubs for therapeutic reasons, like for pain relief from arthritis or an injury, both the number and placement of the jets is important. The more jets there are, the more massaging power the spa will have. Some hot tubs have adjustable jets while others have jets with placement to target specific areas of the body. Some jets are also more powerful than others. Bubble jets primarily just create that bubbling we expect from hot tubs while other jets will have more targeted massaging benefits. We hope this hot tub buying guide and list of the best hot tubs of 2017 has helped you find the right spa for you.